The Farrer Choir gives students another opportunity to be involved in music learning and performance. The choir is open to all students from Grade 2 and above. There is no audition but students are asked to commit to being part of the choir for the duration of the calendar year. We aim to make Choir fun but also rigorous in musical development. Our selection of songs include popular children's songs as well as songs designed specifically for choirs and the development of young voices. 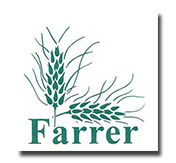 Each year Farrer Choir performs at various occasions including school assemblies, Floriade and performances at Goodwin Village. We also look for opportunities to sing in a 'big' event each year such as SingFest or Limelight.